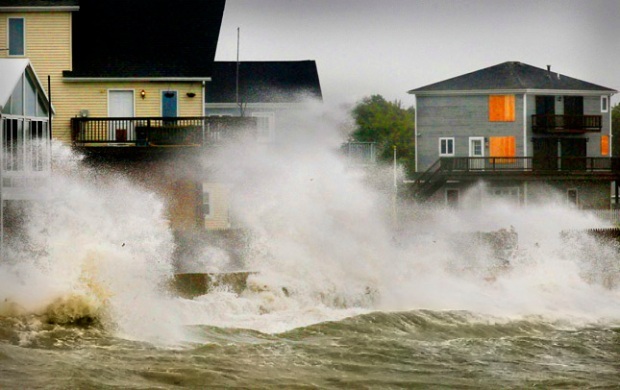 A contractor says Bristol owes him thousands of dollars, almost 9 months after Irene. Months after Tropical Storm Irene pounded Connecticut, a local contractor said the City of Bristol refuses to pay him thousands of dollars for work he performed during a major emergency. Bob Tabacco of Tabacco & Son Builders, Inc. told the NBC Connecticut Troubleshooters he was approached by a city official in the wake of the storm to demolish the unoccupied Stately Floors Building on Riverside Avenue. The structure, situated above the Pequabuck River, had partially collapsed due to damage received from flood waters. A city demolition order addressed to the building owner, dated August 29, 2011, stated the structure "could at any time collapse causing injury or death to individuals in its vicinity." The owner was ordered to demolish the structure within 48 hours and if it was not corrected the city would order the structure removed and a lien would be placed upon the property as allowed by state law. Tabacco did not sign a contract with the city for the demolition, but he said the agreement was made under emergency conditions. 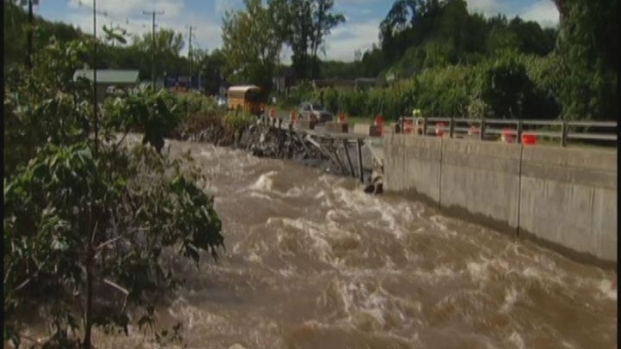 A contractor claims that the city of Bristol is refusing to pay him thousands of dollars for work he did after Irene. "You can't have debris falling in the water," Tabacco said. "Ultimately, you want to keep everything out and keep the river as clean as you can." Tabacco brought in specialized equipment for the demoliton. However, he said his crew spotted asbestos in the roof of the structure. Tabacco said he followed state procedure and hired an asbestos abatement company to properly dispose of the contaminated material. City councilman Henri Martin said it is a good thing the building was removed at the time. "Had it fallen into the river and there was asbestos in that building, who knows the other potential cost it may have cost the city," Martin said. But it was an expensive process. The asbestos abatement added $60,000 to the original demolition price. Tabacco later sent the city invoices totalling more than $90,000. However, Tabacco said he has yet to be paid by the city. "We can't get answers from city hall when we are getting paid," Tabacco said. The Troubleshooters obtained a city document that shows Bristol's Code Enforcement Committee in October requested $91,270.75 for the emergency demolition of the Stately Floors building, but in January the city approved only $1,900 for demolition expenses. Kevin White owns the business that was brought in by Tabacco for the asbestos abatement. He said he has yet to receive his payment because he was Tabacco's subcontractor. Tabacco's lawyer sent a letter to the city demanding payment or risk a lawsuit. The letter states the city informed Tabacco he must pursue the building's owner for payment. The International Building Code, as adopted by Connecticut, says costs incurred during emergency demolition under the order of the building official shall be paid from the treasury of the city. The law also states the legal counsel of the city shall institute appropriate action against the building owner. Bristol's corporation counsel declined an interview, but said the city disputes Tabacco's allegations and will defend the matter vigorously. The Troubleshooters also approached Mayor Art Ward for comment before a city council meeting. However, a member of the city's corporation counsel intervened and said we would not get a statement because the matter is in litigation. When asked to clarify "litigation," the legal staff member said Bristol had been put "on notice." A lawsuit has yet to be filed as of mid-May. Councilman Martin, however, said he feels for Tabacco. "That's a lot of money to be out of," Martin said. "It's not only him, it's his subcontractor." The building owner could not be reached for comment, but a local insurance provider said the owner submitted a claim that was later denied because his policy did not cover damages caused by floods. Tabacco said he is concerned the pay dispute could cost him future work prospects with the city.